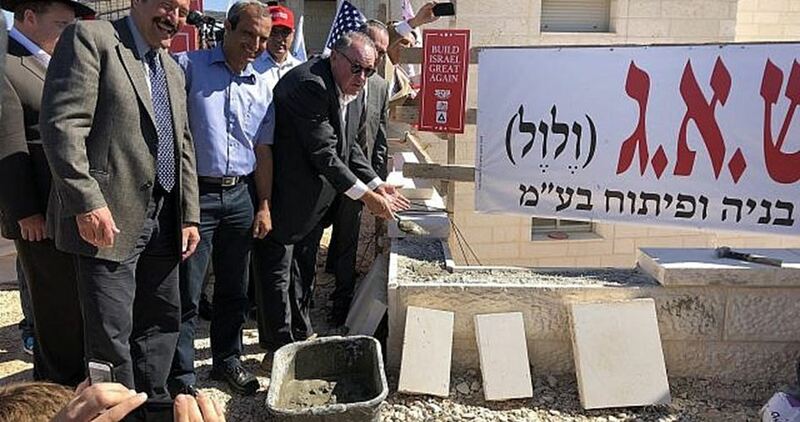 A US official close to the White House on Wednesday participated in laying ceremonial stones for a new neighborhood at a Jewish settlement in Bethlehem in the occupied West Bank, and voiced hope to buy a “holiday home” there. According to different Israeli news reports, the US official is Mike Huckabee, the former governor of Arkansas and whose daughter Sarah Huckabee Sanders is the White House press secretary. The former governor laid bricks and spread cement with other Israeli officials Wednesday for the construction of new housing units in the illegal settlement of Efrat. In a speech during the ceremony, Huckabee expressed his willingness to "purchase a holiday home" there. Huckabee also said that president Donald Trump would have been pleased to join him, describing Trump as a builder who loves to see construction sites. Israeli occupation authorities have leveled Palestinian lands east of Bethlehem, paving the way for a settlement project in the area. 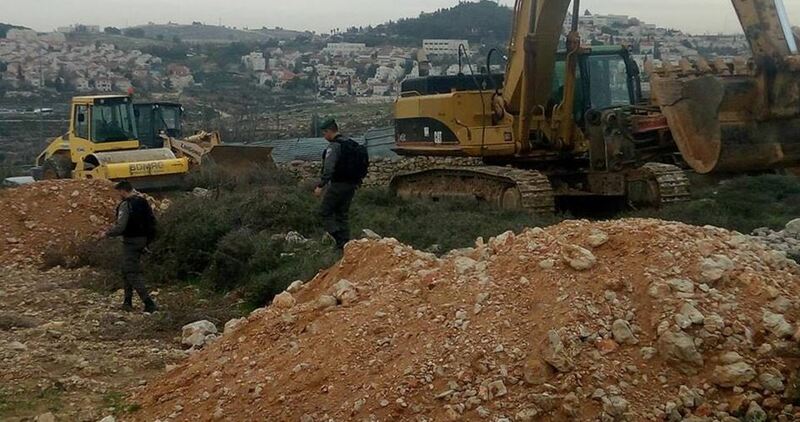 Anti-settlement activist in Bethlehem Hasan Brijiyah, said Israeli bulldozers leveled Palestinian lands located between Nokadim and al-Dad illegal settlement outposts in an attempt to set up a park for Jewish settlers. The targeted lands cover an area of nearly 100 dunums. An access road will be opened and benches installed as part of the new project. Recently, the occupation authorities grabbed hold of 400 dunums of Palestinian lands in the area. An Israeli court also green-lighted the establishment of 270 settlement units on occupied Palestinian land. 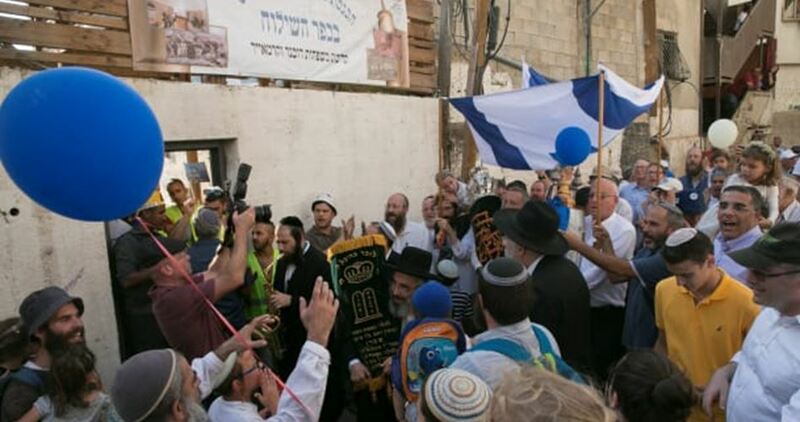 The Israeli occupation authority (IOA) on Wednesday opened a Jewish heritage center in a building in the overwhelmingly Palestinian district of Silwan near the Aqsa Mosque, east Jerusalem. In cooperation with pro-settler groups, the site was inaugurated under the name of the "Jewish Yemenite heritage center" in the presence of Israeli ministers and former US governor Mike Huckabee. The center is part of Israel’s systematic steps to Judaize the town of Silwan, south of the Aqsa Mosque. The IOA claims that the building of the center was used as a synagogue in the 19th century by Yemeni Jews and that they demanded a Palestinian family to evacuate it since 2004. However, those Yemeni Jews had lived in Silwan district as refugees for a period no longer than 50 years after they were welcomed by Palestinian residents at the time, according to Palestinian anti-settler groups. The building was acquired in 2015 by the right-wing Ateret Cohanim organization (Jewish group), which settles Jews in east Jerusalem, following a long legal battle that culminated with an Israeli court ordering the Palestinian Abu Nab family living there to leave. One member of the family still has an apartment in the building, and Ateret Cohanim is trying to extract a court order to evacuate the Palestinian resident by force. Israeli bulldozers escorted by forces razed Palestinian lands, on Wednesday, in Beit Taamar village in the southern occupied West Bank district of Bethlehem. 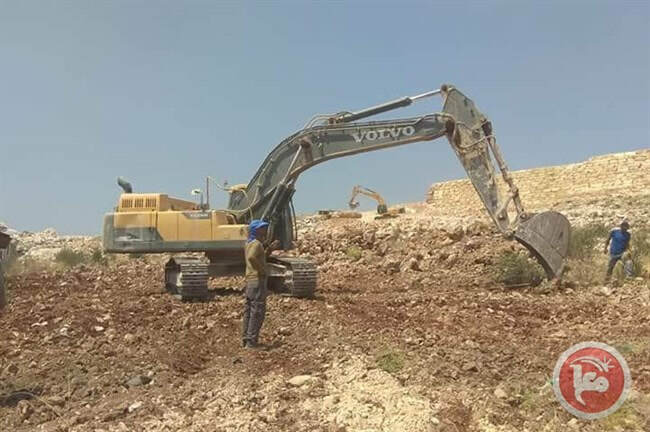 Hassan Breijeh, a representative of the Wall and Settlement Resistance Committee in Bethlehem, Israeli bulldozers began to raze and level the land located between the two illegal Israeli settlements of Nikudim and Kfar Eldad, built on Palestinian-owned lands in the area. Breijeh said that by razing the land, which is a total space of 100 dunums (24.7 acres), Israel aims to expand the two illegal Israeli settlements and build a nature park in the area. He added that the settlement expansion project will be completed through the constructing roads, planting trees and installing benches in order to connect the two nearby illegal Israeli settlements. 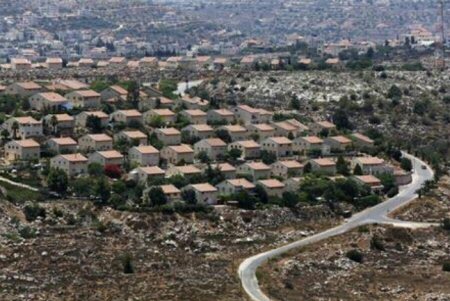 Israel had approved the construction of 20 new housing units for the illegal Matassad settlement southeast of Bethlehem district, about a week ago. 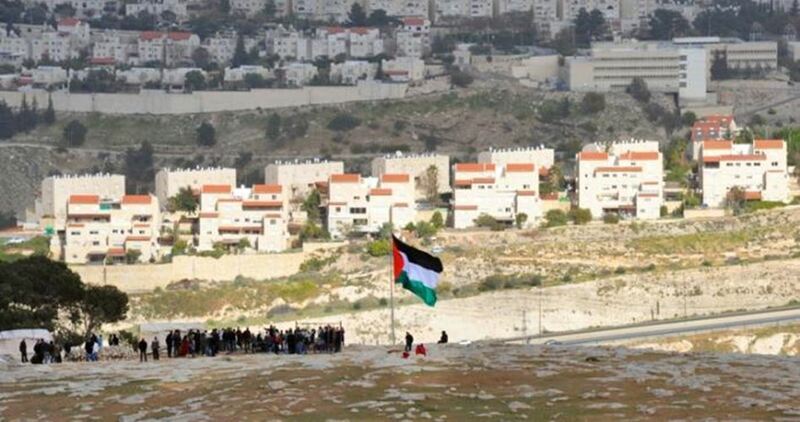 Israel also approved the construction of 170 new housing units for the illegal Israeli settlement of Neve Daniel, to be built on Palestinian lands in the al-Khader village, also in the Bethlehem district. Another 100 new units were approved for illegal Kfar Eldad settlement. The Israeli occupation authority (IOA) have earmarked millions of Shekels to establish a new settler project in Silwan town, east of Occupied Jerusalem. In cooperation with pro-settler groups, the project will be inaugurated on Wednesday under the name of the "Jewish Yemenite heritage center", as part of systematic steps aimed at Judaizing the town of Silwan, south of the Aqsa Mosque. A opening ceremony will be held at the site under the watch of heavy security this Wednesday. 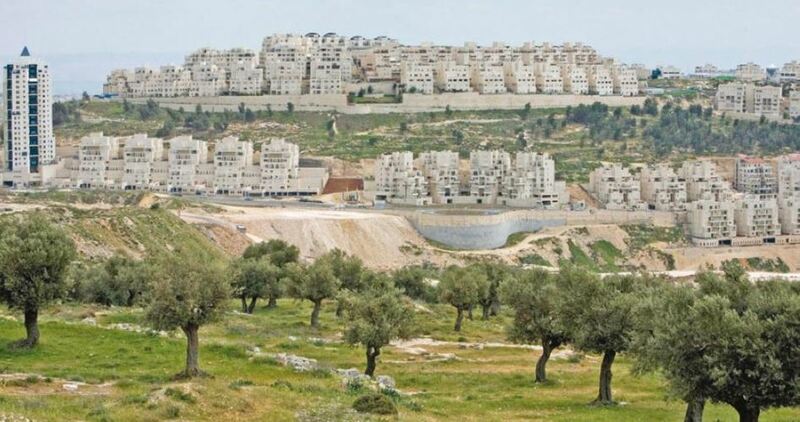 The Hilweh Information Center and Batn al-Hawa Committee in Silwan town said in a joint statement on Saturday that the IOA allocated about 4.5 million shekels for this new Israeli settler project. According to the center and the committee, the IOA claim that the property of Abu Nab in Batn al-Hawa area of Silwan was used as a synagogue in the 19th century by Yemeni Jews and that they demanded a Palestinian family to evacuate it since 2004. 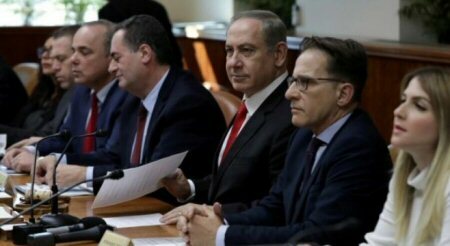 Their statement mentioned that the Israeli authorities already opened a Jewish synagogue in August 2017 in Abu Nab area, in the presence of Israeli ministers and representatives from settlement associations. 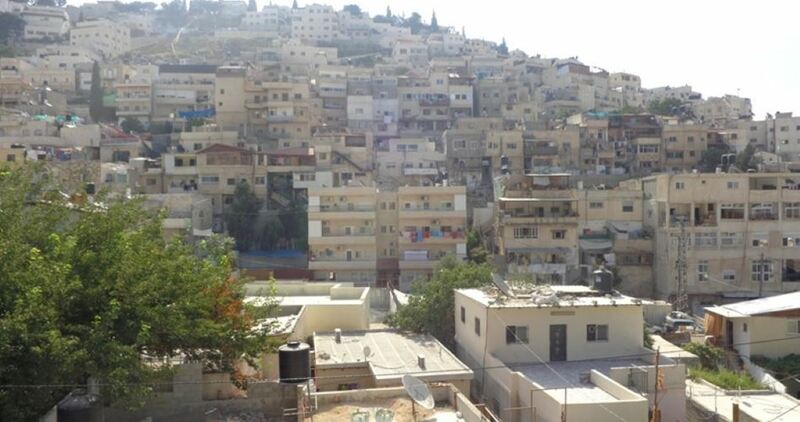 The center and the committee affirmed that Yemeni Jews lived in the Silwan neighborhood as refugees for a period no longer than 50 years after they were welcomed by Palestinian residents in the 19th century. The Jewish Yemenite heritage center will be established on more than five dunums of land in Batn al-Hawa area in Silwan under the pretext that it belongs to Jew emigrants from Yemen, who came to Jerusalem in 1881. Israeli settlement associations have been gradually seizing real estate in east Jerusalem, especially in the Old City, by claiming ownership of lands and homes in smaller parts or by purchasing property from Palestinian residents through straw buyers. Israeli government allocated more than $1 million to open a Jewish heritage center in the Palestinian neighborhood of Silwan in occupied Jerusalem. Haaretz Hebrew newspaper revealed Monday that the center is devoted to Yemenite immigrants in the 19th century. Jerusalem and Heritage Minister Zeev Alkin and Culture Minister Miri Regev are leading the project along with a number of settler associations including Ateret Cohanim, the sources added. The project is scheduled to be started next Wednesday under heavy security protection. Israeli Army Minister Avigdor Lieberman threatened on Friday to build hundreds of new housing units in a settlement in the occupied West Bank where a Palestinian stabbed on Thursday three Israelis. "The best answer to terrorism is the expansion of settlements," Lieberman wrote on Twitter, announcing 400 new housing units in the Adam settlement north of Jerusalem a day after the stabbing attack. On Thursday evening, an Israeli settler was died while two others were seriously injured after being stabbed by a Palestinian teenager who was later identified as Mohammed Dar Youssef, 17, from the village of Kobar. The Israeli army said Friday it had questioned a number of his family members and suspended their work permits. It is worth to mention that all settlement construction in the occupied West Bank is considered illegal by the international law.